DOONBEG — Every time President Trump rails against big “pharma” over the jobs that have been shipped overseas, his pledges to streamline regulations and lower taxes to lure them home prompt grimaces 3,000 miles across the Atlantic Ocean. More than 50,000 people are employed with pharmaceutical and medical device companies here in Ireland, with most of the companies refugees from America. Baxter, a medical equipment manufacturer based in Deerfield, Illinois, employs a thousand people in Ireland. Pfizer, Boston Scientific and Johnson & Johnson all have substantial Irish operations. 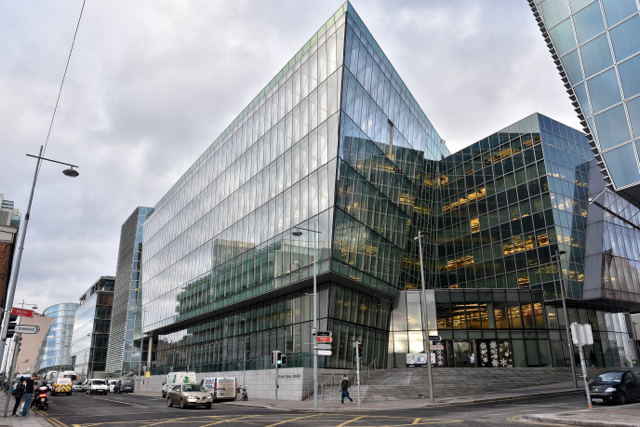 Dublin’s Silicon Docks neighborhood earned its nickname after Facebook, Google, Twitter and other U.S. tech companies set up in glossy offices, often mammoth European headquarters, close to the River Liffey. They are among an estimated 700 U.S. companies which, attracted by Ireland’s low corporate tax rate and English-speaking work force, have helped drive a multinational invasion on the Emerald Isle that once turned it into the “Celtic Tiger” of Europe, employing around 170,000 people in all. Trump’s threat to inspire a full-scale retreat has shaken Ireland almost as much as the neighboring United Kingdom’s plan to withdraw from the European Union. “Any action, or threat of action against those companies by the incoming U.S. administration is a threat to our industrial policy,” opposition parliament member Niall Collins warned recently. After Ireland’s economy was eviscerated by a property and banking collapse in 2008, retaining foreign investment and promoting exports were central to the country’s subsequent recovery, which the International Monetary Fund described as “exceptional” and which in 2014 saw Ireland regain its position as the fastest-growing in the E.U. Cumulative U.S. investment in Ireland by 2014 amounted to more than $300 billion, about a third more than Ireland’s entire GDP. A country historically known for exporting legions of workers around the world to escape poverty has achieved a renaissance in the 21st Century, much of it attributable to the very kind of tax strategy Trump has often touted: lowering its basic corporate income tax rate to 12.5 percent. Ireland’s economy grew by more than 26.3 percent in 2015, a figure the Central Statistics Office called “unprecedented” among economies of the Organization for Economic Cooperation and Development, which includes much of Europe, as well as North America, Chile, Japan and Israel. The number was so high that it prompted a rethink in Ireland about how to factor foreign investment into annual growth calculations, with growth for the first nine months of 2016 listed at a still-high 4.8 percent. Unsurprisingly, that 26.3 percent tally raised eyebrows abroad, adding to scrutiny of Ireland’s investment and tax policies. In April 2016, Pfizer was forced by U.S. Treasury rule changes to cancel a so-called “inversion” deal with Allergan, an Irish-based counterpart. The proposed $160 billion partnership prompted anger among U.S. lawmakers as it would have allowed Pfizer to cut its tax bill by about $1 billion a year by domiciling in Ireland as part of the merger. Now in another possible problem for Ireland, Trump has told business leaders he might favor cutting the U.S. corporate income tax from the current 35% to as low as 15%. If it happened, some in Ireland feel it could tempt American multinationals to reconsider low tax bases abroad. Trump is also pushing a 20% border adjustment tax that would force companies to pay taxes on where they sell their goods, rather than where their company is domiciled. Ireland is banking on U.S. multinationals needing a European base even if Trump cuts tax stateside. According to Mark Redmond, CEO of the American Chamber of Commerce Ireland, the big U.S. business presence in ireland is down to more than the tax rate, with access to the E.U. market – population 508 million – a key inducement. “What our members say to us is that Ireland is a key strategic element in the global competitiveness of U.S. firms,” said Redmond. A month to the day after Trump was declared winner of the U.S. presidential election, BD (Becton, Dickson and Company), a New Jersey-based medical technology company, announced plans to build a new research and development facility in Limerick in Ireland’s southwest. “Ireland is an important part of our growth plans,” said Ellen Strahlman, BD’s Executive Vice President R&D. “We estimate that our beef farmers are out of pocket to the tune of €150 million (US$160m) since that point [the “Brexit” vote] to year end,” said Niall Madigan of the Irish Farmers Association. With Ireland remaining in the E.U, Brexit will likely mean tariffs between Ireland and the U.K., and, if it leads to anti-E.U. politicians taking power across Europe, could undermine the union and in turn Ireland’s credentials as a gateway to Europe. Business on either side of the border between the Republic of Ireland and British-run Northern Ireland could be affected. During Northern Ireland’s three decades of political violence known as The Troubles, crossing the heavily militarized border with the Irish Republic meant lengthy checks. Since a 1998 peace deal those controls have gone and road signage is the only indication that a frontier has been crossed when one drives from the Republic to the North. With the Republic remaining inside the E.U, Brexit could mean tariffs between Ireland and the U.K. and the return of border controls along the frontier running across the north of the island. Mark Durkan, a Westminster parliamentarian representing Derry, a Northern Ireland city on the border with the Republic, said that Brexit uncertainties will undermine economic life on the island’s north-west. 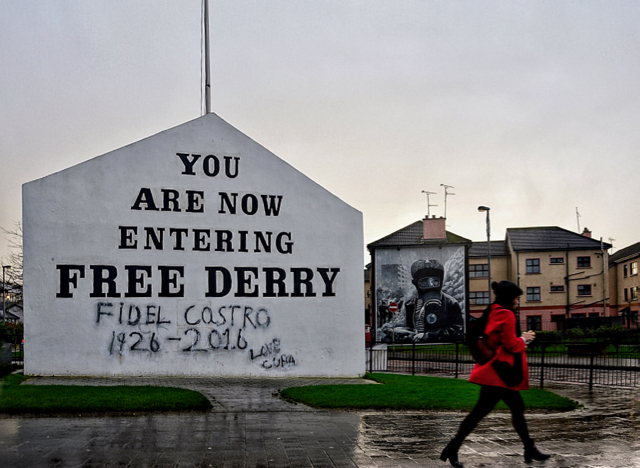 Derry, also known as Londonderry, is an historic city known for its 17th century city walls and colorful political murals and functions as a northwestern regional capital for people on both sides of the frontier. “Anything that makes that border more obtrusive will interrupt and impede economic flows in the area,” Durkan said. 78% of people in Durkan’s Foyle constituency voted to remain in the E.U., putting locals who mostly favor uniting Northern Ireland with the Republic, at odds with the wider Brexit vote across the U.K., where other regional splits emerged – such as Scotland voting clearly to remain. And this year will herald more tests for the E.U., with the anti-establishment vibe around Mr. Trump’s election and the departure of the U.K. from the E.U seen as ballast for anti-E.U. candidates ahead of elections to be held in France, Germany, the Netherlands and possibly Italy in 2017. In Ireland anti-establishment politicians have gained ground — though without the anti-E.U. sentiment seen elsewhere on the continent. Ireland’s post-crash recovery is seen as benefitting urban areas leaving the countryside lagging and likely to suffer disproportionately if agricultural trade with the U.K. Declines, while the main parties have been derided as soft on the type of banking and speculation excess that caused the crash. A February 2016 election resulted in Taoiseach (Prime Minister) Enda Kenny returning to office at the head of a shaky minority government that will likely come under pressure if it fails to address uncertainties around U.S. investment and Brexit. Yet there’s an upside: Ireland will be the largest English-speaking E.U. member-state once the British depart. “With Brexit looming Ireland could become an even more attractive destination,” said Simon McKeever, head of the Irish Exporters Association. Dublin is frequently listed alongside Amsterdam, Frankfurt and Paris as cities that could benefit if banks and financial firms depart London due to Brexit. 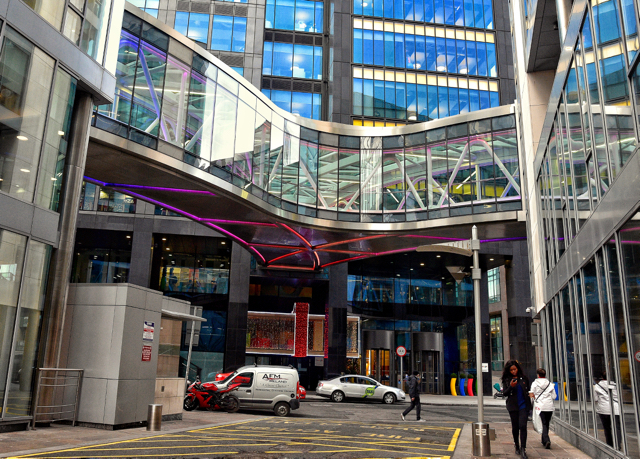 “In the financial services area, we estimate that there could be a jobs spillover of 10,000-15,000,” said Dermot O’Leary, chief economist at Goodbody, a Dublin stockbroking firm. Those prospects are diluting concerns about Trump’s anti-globalization rhetoric in Ireland, where, after all, Trump has invested, as has Commerce nominee Wilbur Ross, who talked up Ireland’s economy even during the grim years after the 2008 crash. 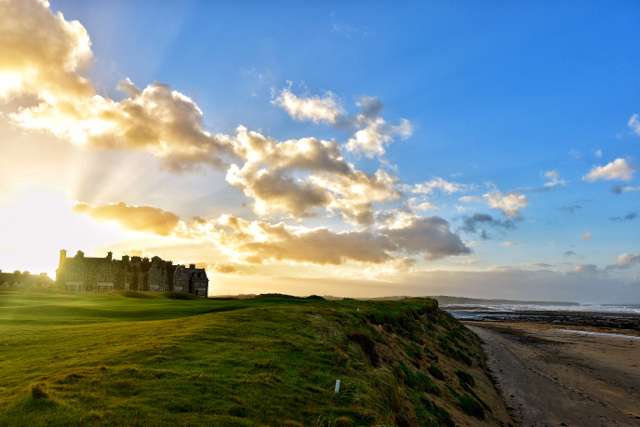 At Doonbeg on Ireland’s sublimely scenic west coast, a Trump-branded golf course and hotel overlook around a mile and a half of beach and crashing Atlantic waves. 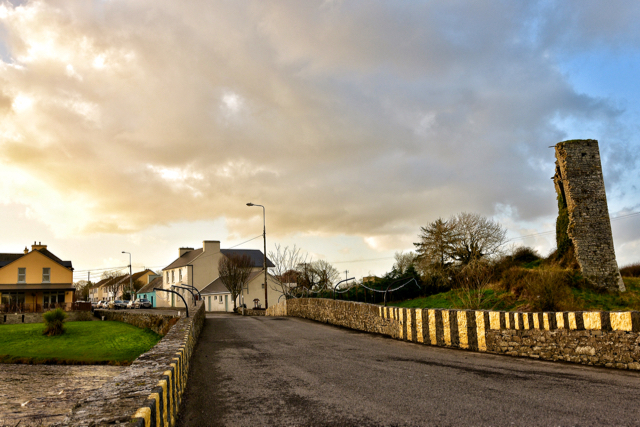 Despite the worry Trump’s rhetoric sparks elsewhere in Ireland, he’s popular in this tiny oceanside village, also the home of one of Vice President Mike Pence’s great-grandmothers. Ireland’s prime minister Enda Kenny will be banking on such fraternal ties when he meets Trump at the White House on St Patrick’s Day, March 17, a holiday in Ireland and also celebrated by the tens of millions of Americans claiming Irish descent. But Kenny jabbed at Trump’s “racist” campaign trail comments and has criticized the new U.S. president’s immigration restrictions. As shown by Trump’s fiery phone-call with Australian leader Malcolm Turnbull, strong ties with the U.S. do not guarantee good relations with the new president. Back in Doonbeg, Trump’s resort — where 200 people work and which he described as “small potatoes” while campaigning – has boosted an area that did not recover as quickly after 2008 as Ireland’s tech and pharma hubs. “Our politicians didn’t do much about getting factories [here], but he [Trump] has created a lot of employment,” said Senan McCarthy, owner of Doonbeg’s Danubio Bed and Breakfast, which takes in spillover guests attending lavish weddings at the nearby Trump resort, where rooms start at 190 euro ($200) a night.